Utah Barns - Utah Barns builds, installs, and delivers the best metal Barns in Utah for the best price. We have several Styles and Options for your new metal barn. 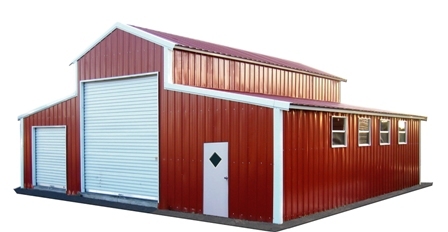 We also offer Carports, Garages, Loafing Sheds, tool sheds, Warehouses, Workshops, and custom metal buildings in Panguitch, Utah.